Truth be told, before I made these date bars, I had never tried a date in my life. I had been reading all about their health benefits, so I bought some for my son. I cut them lengthwise and filled them with cream cheese for his snack. I used them to sweeten recipes instead of sugar. 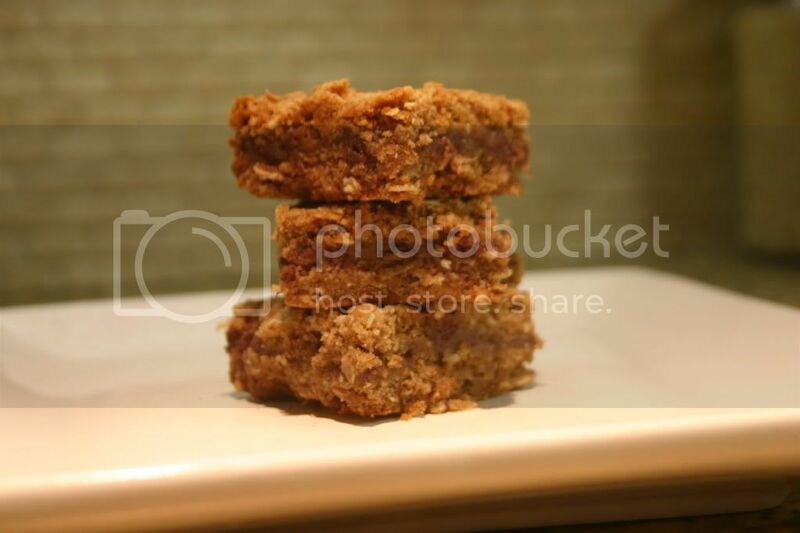 Then I stumbled upon a date bar recipe and began tweaking it. They came out of the oven smelling divine, but I was a little hesitant to try them. See, I am all for making my son try new things, but I can be a bit reluctant at times. I had tried his cream cheese filled dates and was not thrilled. They were way too sweet and had a strange texture. Still, I was up for the challenge as these bars did smell quite scrumptious. Okay, if we're being totally honest here, I had Jayden try them first. I have a bad habit of making him the guinea pig. He took one bite. And then another. He looked at me and said "deese are dood mommy". Translation: these are good! I summoned up my courage and grabbed a bar. I took a small bite and was pleasantly surprised. The date flavor was mellow and sweet. The oats made for a chewy, crumby topping. I was converted! I may not eat dates by the handful, but I will gladly eat a date bar anytime. Dates are rich in iron and vitamins and minerals. They are often referred to as nature's candy and can be used to sweeten desserts and drinks. They can be a wonderful addition to smoothies and of course are great in baked goods like muffins and these bars. Grease a 8x8 pan and set aside. Simmer 1/2 c water and dates for 10 minutes. Let cool and add in vanilla. Combine flours sugar, oats, cinnamon, baking soda, and salt in a large bowl. Add diced butter and rub between hands until moist clumps form. Press half of the oat mixture into pan. Spread dates over and then sprinkle the rest of the oat mixture on top. Press down slightly. Bake 40 minutes. Cool on rack and cut into bars.